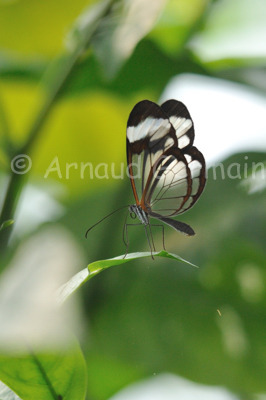 I took this picture in the butterfly exhibit in London Zoo. I loved the transparent wings of this species of butterfly. As I only had my long lens with me, I bumped up the ISO to get enough shutter speed to get the shot without support. Nikon D700, Sigma 150-500mm OS at 450mm, F6.3, 1/1250s, ISO 1600, handheld.